The data is broken down by medical and non-medical, both of which saw dried flower sales increase, with medical cannabis flower sales rising 1% from revised November levels while adult-use flower sales grew 5.3% in terms of kilograms. Oils for medical patients fell 2.9% but grew 14% for adult-use. In total, flower grew 4.2%, while oil grew 1.6%. Finished inventory fell 4.3% for dried flower and grew 14.4% for oils. 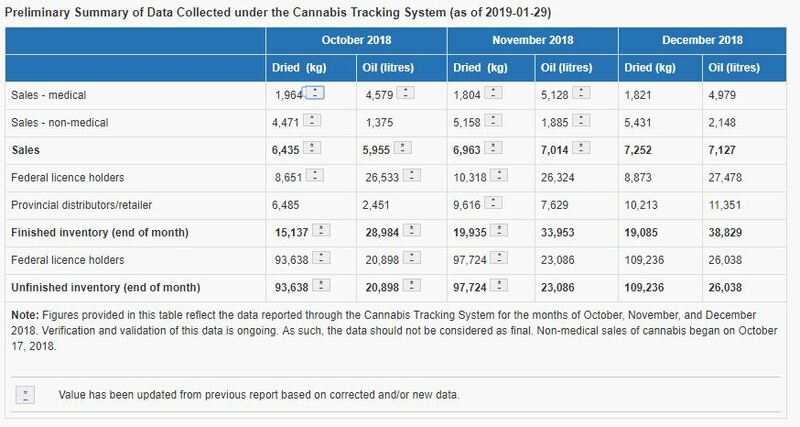 Unfinished inventory saw large increases for both dried flower and oils, with flower increasing 11.8% and oils growing 12.8% from November levels.